The Rebel Sweetheart. 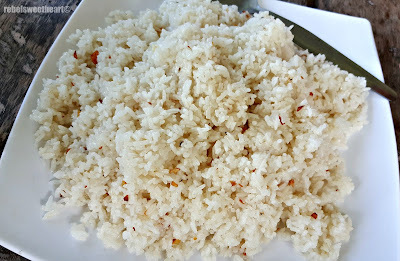 : Foodie Goodie | Cusina de Sabang. Every so often, my mommy friends (ergo, the moms at my son's school that I'm friends with) and I would come together and do something fun. And by something fun, it would mean either shopping or eating. Well, for us, it's mostly eating. Haha. 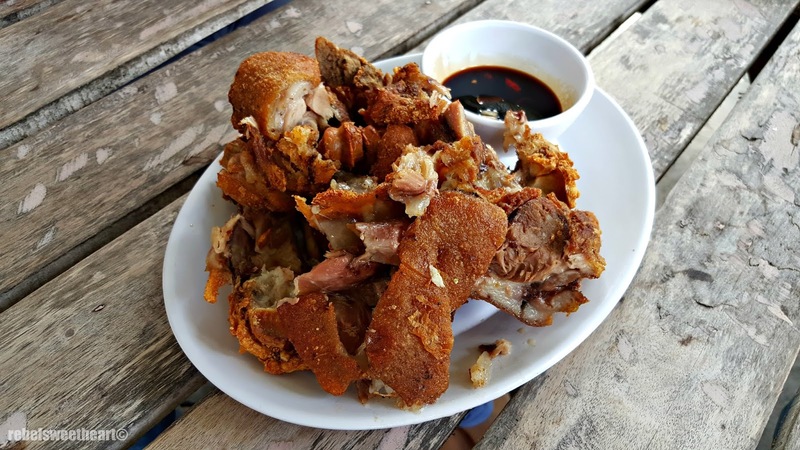 Last week, we decided to try Cusina de Sabang, a local restaurant that's slowly gaining popularity among the people of San Pablo City and those living in nearby towns. Located along Sabang Road in Brgy. 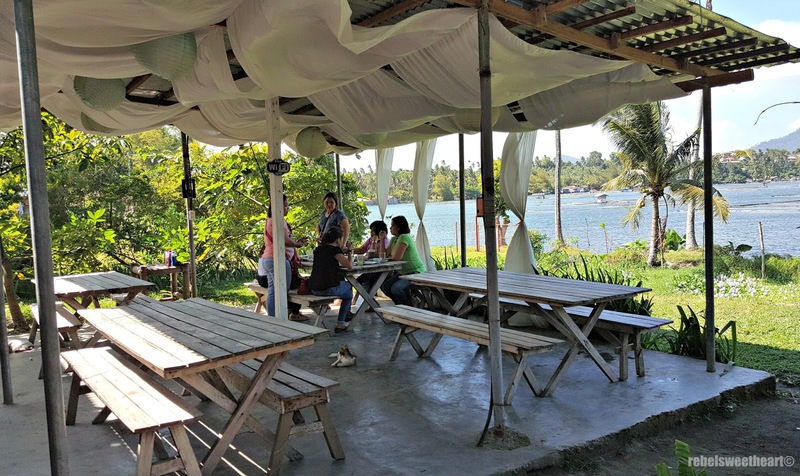 Concepcion, Cusina de Sabang has a picnic setting that's perfect for family meals, group dates with friends and coworkers, and even romantic dinner dates with your significant other. The restaurant is nestled along Bunot Lake, and you get a good view of it and Mount Mabilog as you enjoy your food. Now as for the food, here's what they have on the menu. Cusina de Sabang menu. Click to enlarge. I like that they have a variety of main dishes to choose from, but I wish they'd offer more dessert options. The dishes are fairly-priced, and are good for sharing. It took awhile for the food to arrive, though. 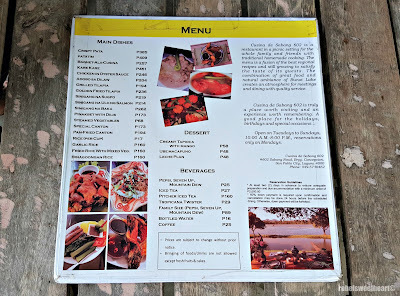 I even forgot to take a photo of the Sinigang na Ulo ng Salmon (Php 214) that we ordered because it was the last dish to be served, and we were already halfway through the other dishes by that time. To think we even requested that the Sinigang be served first, because we wanted soup for starters. The Kare-Kare was pretty good - very flavorful, the meat was tender, and the vegetables were cooked just right. My only gripe was its consistency - too oily! Their Special Canton is indeed special. 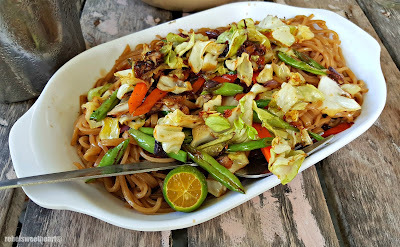 I'd say it's one of the best pancit canton you can find here in San Pablo. Oh, and their Crispy Pata is to die for! The skin is crunchy and cooked to perfection, while the meat is juicy, flaky, and well-seasoned. 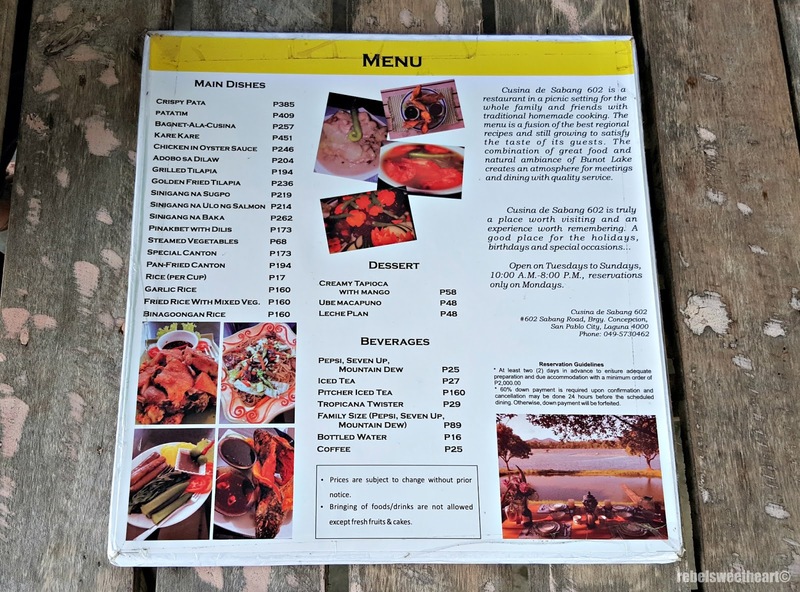 If you're planning to visit Cusina de Sabang, I suggest you make a reservation first and inform them of your orders beforehand. That way, you won't have to wait a long time for your food to be served. 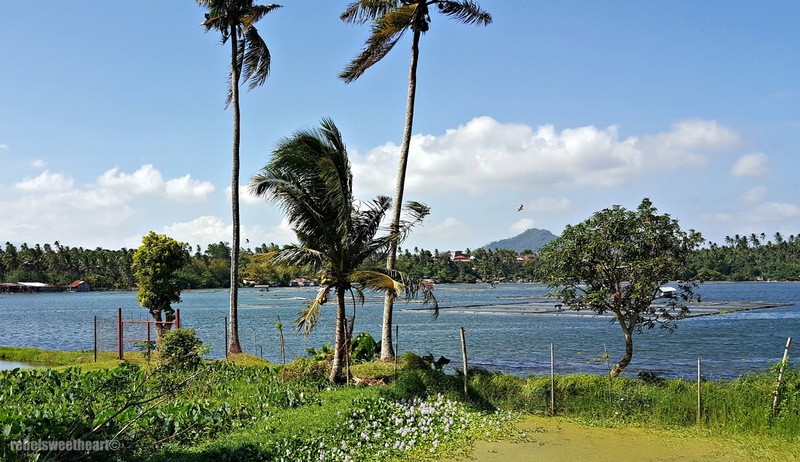 Cusina de Sabang is open daily, from 8am to 10pm. 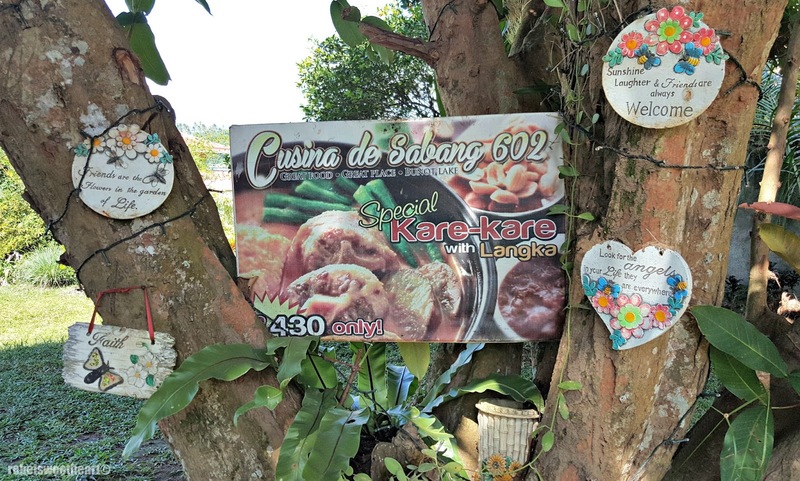 I need to learn more about what Kare-Kare is. Off to Google for the answers! 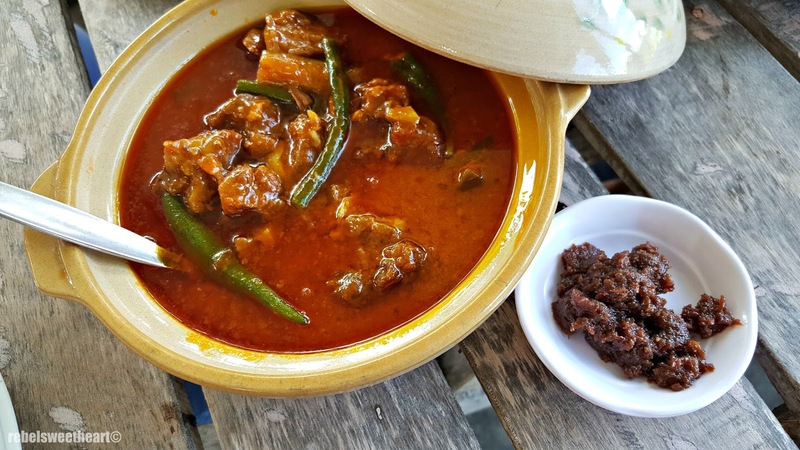 Foodie Goodie Cusina de Sabanga sounds like the type of restaurant we would enjoy as a family on a day out or a trip. The food looks yummylicious hmmm nom nom, And the views to the ocean or sea are awesome. Thanks for sharing! The food looks so good. The view makes it awesome also. Great place. MMMM. My mouth is watering looking at these pictures. The pata looks incredible! I love the name, Cusina de Sabang. Come off the tongue beautifully.